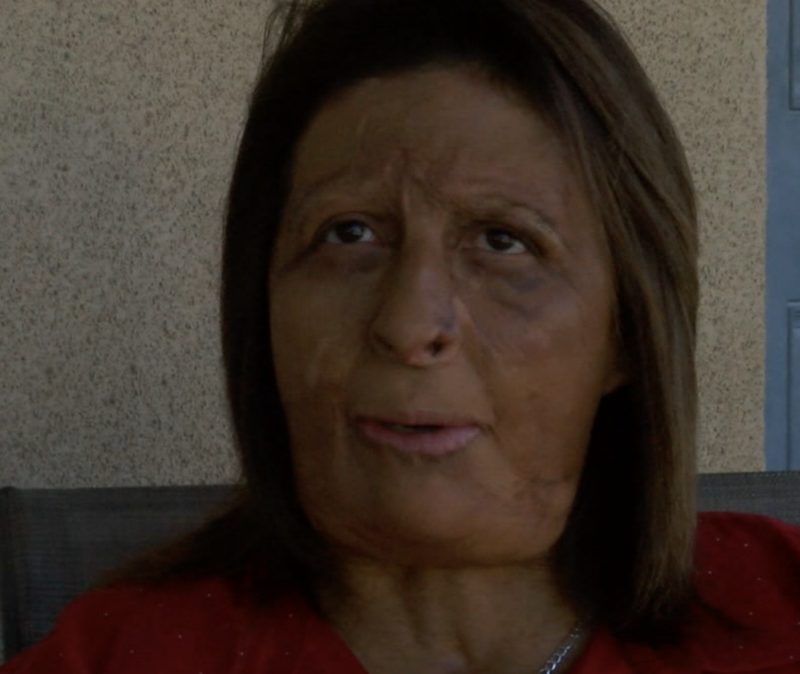 CHULA VISTA, Calif. (KGTV) - A Chula Vista woman who survived a horrific accident and burn injuries four decades ago is searching for the 'heroes' who helped her that day. On March 30, 1978, 7-year-old Elizabeth Garcia was in a pickup truck with her family stopped at a traffic light in Tierrasanta. They had just visited her aunt and her new baby at a hospital in La Mesa. "We hear a big bang. The truck got hit, and we flipped over all over the place," said Garcia. A drunk driver going 95 miles per hour had rear-ended them. Garcia believes she and her brother were ejected. "All around me was a big ball of fire," said Garcia. She remembers running out of the flames and seeing her brother. "I'm thinking,'Omigod, he's severely burned. Not knowing I was burned, too,'" said Garcia. Her brother also survived the crash but her grandmother did not. Garcia suffered burns to 85 percent of her body. Garcia recalls firefighters scrambling around her, tending to her and reassuring her. "They kept saying, 'You're going to be okay. You're going to be okay.' There were other to help. The chances of survival for me were very slim. They could have easily said, 'She's done.' But they didn't. I remember them being right there next to me, making sure I was going to be okay until the ambulance came," said Garcia. Garcia beat the odds. She needed 11 months of recovery in a hospital. In the decades that followed, Garcia would get married, have three children, and start her own import-export business. "Everything I have in my life ... everything that happened to me, I would think, 'Thank God for the guys who saved me.' From the time I was a little girl I wanted to find them. I got to a point in my life, where I said, 'Why don't I just do it?" said Garcia. "They didn't give up on me. Because of that I had an opportunity to do something in my life, to be happy," said Garcia. Garcia knows her search won't be easy. A spokesperson for San Diego Fire says their records don't date back that far. If you have any information to help reunite Garcia and her heroes, email 10News at Tips@10news.com.